This post is brought to you by Sprint. This is part two of a two-part series on working smarter, remotely. Click here to read the second part. The dawn of social media changed the way that businesses do support for their customers for good. Businesses that have already transformed themselves in order to offer their wares 24/7 with the advent of e-commerce, but now they need to provide support and interaction with their customers all the time too. Social media provides a fantastic opportunity for small and medium businesses to engage with their customers and build relationships like never before. For the first time ever, it allows a brand to have a friendly face that’s always there and they’re able to seek help from. Not only this, but it allows customers to become brand ambassadors that share promotional content for you. It gets even better on the go, with smartphones offering the opportunity to interact with potential and existing customers wherever you are, no matter the time of day. This might be viewed as a negative thing for your personal life, but the benefits are much greater than you could imagine. Companies from a big bank like Kiwibank to Chow, a restaurant in Wellington, New Zealand, are using social media to interact with their customers and offer them help, information and sometimes to run promotions. 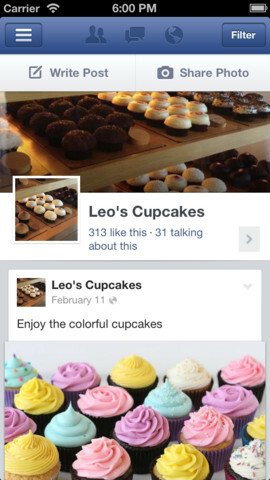 If your business has a Facebook presence, this is the app for you. Facebook Pages Manager allows you to manage your company profile on the go such as being able to respond to comments on your wall or to make a status update about an issue you’re having. Not only that, but you can also quickly view statistics about your page interactions and how many likes you have, making it the ultimate tool to look after the Facebook side of things. Facebook Pages Manager is available for Android and iPhone. Hopefully you’re already managing your business’ Twitter accounts with a tool like Hootsuite. 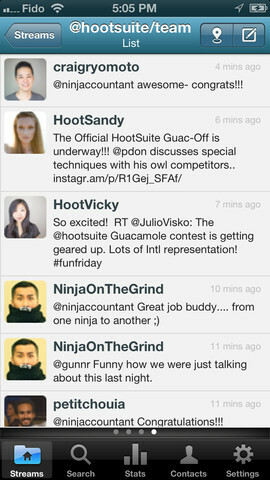 If you’re not, Hootsuite is an application for Twitter that allows you to manage a company account better. It offers team support, so you can have multiple members of your staff to tweet from the same account (with an identifier like ^OW) as well as managing tweets for follow-up. The mobile application for Hootsuite does much the same but gives you and your staff the power to tweet from anywhere – meaning they’re likely to help out with a quick tweet here and there when they’re not in the office. Hootsuite is available for lots of mobile platforms, you can see if they support yours here. Lots of businesses — particularly online ones — provide some type of support desk service to their customers for in case they have an issue or question. This is usually where customers are referred after the social media team exhausts their ability to help. 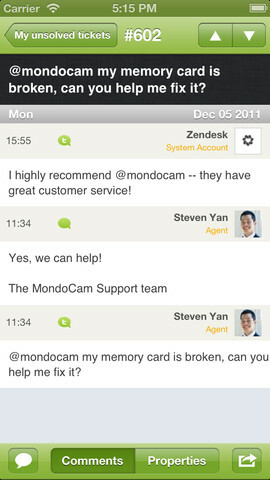 Zendesk is one of these tools and they offer a fantastic mobile app that allows businesses to keep on top of their support ticket queues while on the go. Another of these tools is Freshdesk, who also have a mobile application to help with support queues on the go. We’re not going to go into differences in this post, but if you’re not already using a support desk type service we would absolutely recommend checking out both Zendesk and Freshdesk. In the late 40’s, engineers at Toyota pioneered a deceptively simple scheduling system called kanban which was based on index cards passed from one part of the plant to another. Trello brings this concept to the future, offering lists of tasks on a virtual signboard of what needs to be done and when, then allows you to assign them to people inside your organization. You can make comments, flag jobs and color important items easily, making collaborative tasks easy to use and actually somewhat fun. It’s a great tool and works wonders for your personal life as well as your business one. 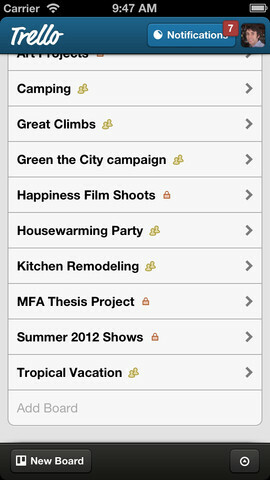 Trello has fantastic mobile applications available for iPhone and Android so you can keep being productive on the go. We realize you can’t always be on Twitter, so we’ve got a solution for that too. Buffer allows you to schedule tweets for times in the future so you don’t have to be in front of your keyboard every time you want to update the social media account. If you do it right, you can even configure your business account to tweet during different time zones to get very effective reach across your customer base. 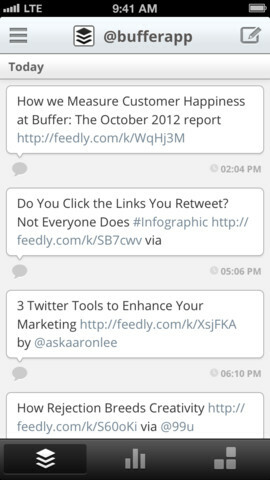 Buffer is free for a limited amount of tweets, but the pro edition offers team accounts and unlimited access. Yes, Hootsuite lets you schedule tweets, but Buffer handles the hassle of making sure that they’re spread out throughout the day at times when you’re not tweeting manually. Buffer has great mobile apps available for iOS and Android. Moving your business into the always-on social world doesn’t have to be hard and mobile apps make it just a few steps easier. We definitely recommend jumping in head first, you won’t regret it!